If your AT&T/GSM iPhone 4 won't recognize a charger when you plug it in, odds are you need a new dock connector. A dock connector can go bad over time or if it's become exposed to liquid or humidity. 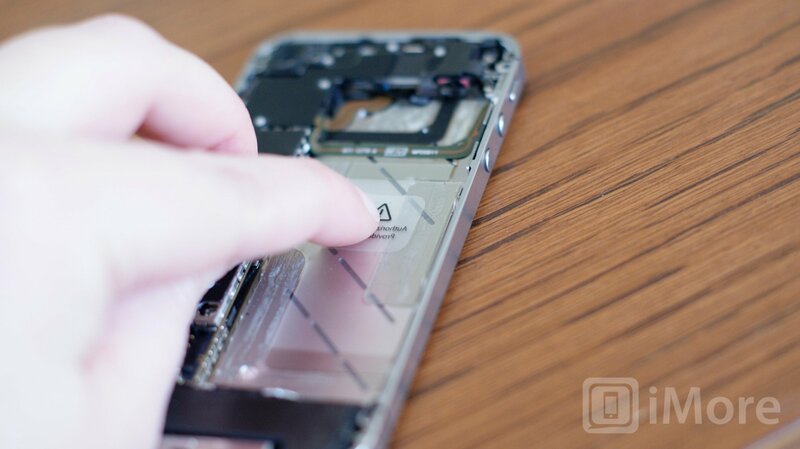 If you're off warranty and would rather attempt a DIY repair instead of shelling out the cash for a new iPhone, here's how you can fix it! 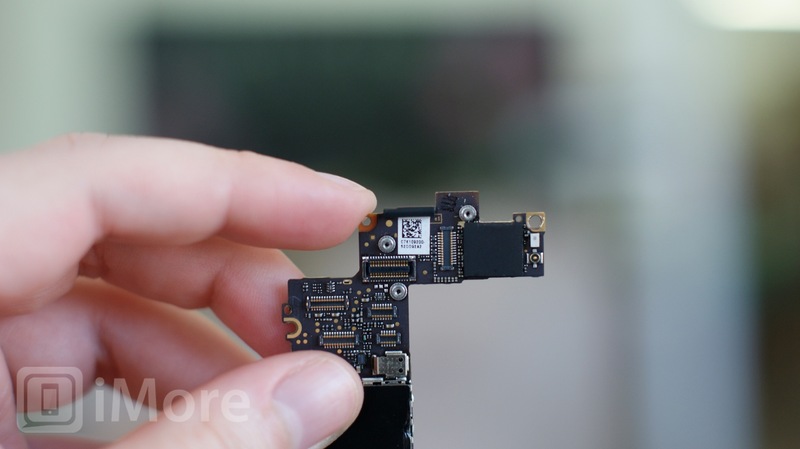 The home button fastens into your dock connector so in order to replace the dock connector assembly we'll need to unplug the home button. 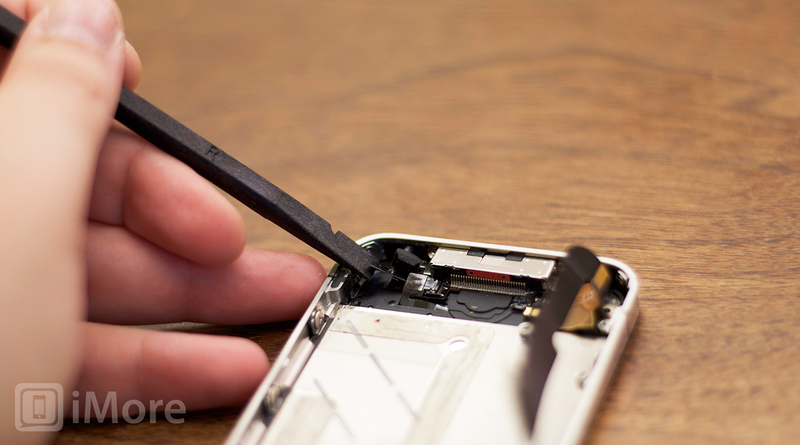 Use your pry tool to gently unfasten the clip holding the home button cable in place. This cable is very tiny and fragile so handle it with care. 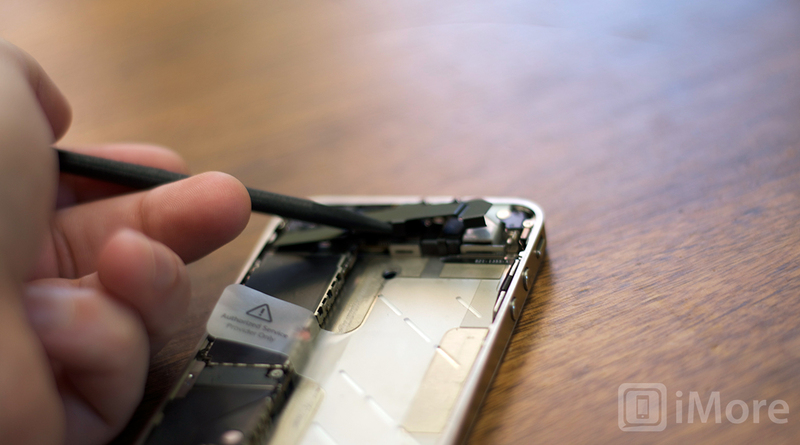 Next, gently use your pry tool and your finger to back the cable out of the clip. 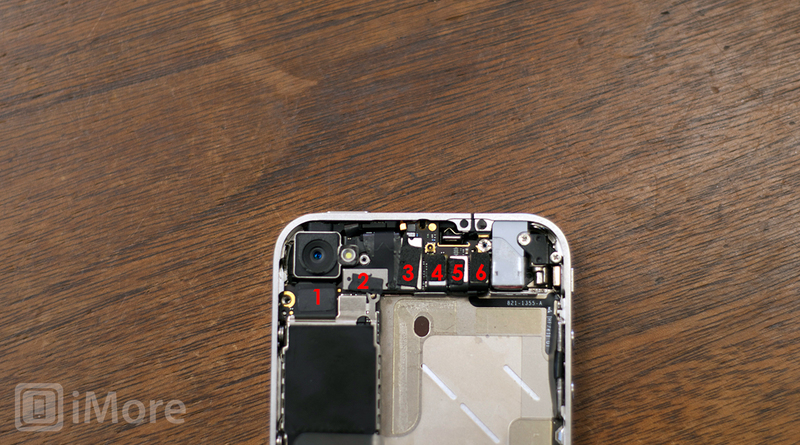 This is as far as we'll need to go with the home button. Once it is unhooked, just disregard it while we move on to the dock connector. 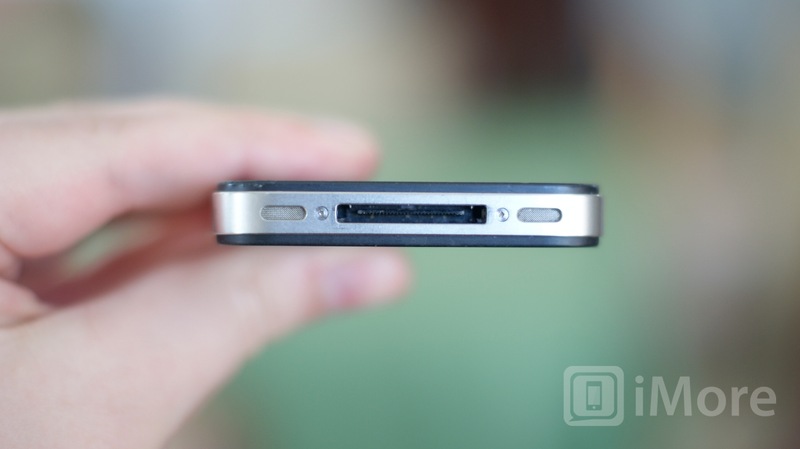 There are two screws and some adhesive holding the dock connector into your iPhone 4. 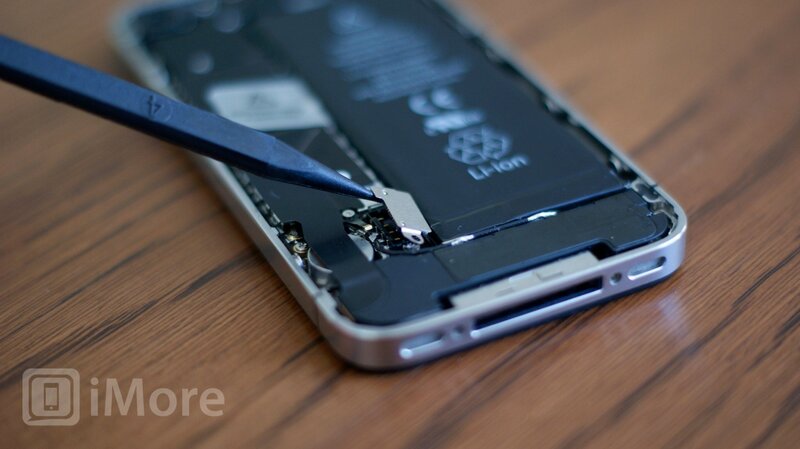 We'll need to remove those in order to pull the assembly out of the phone. 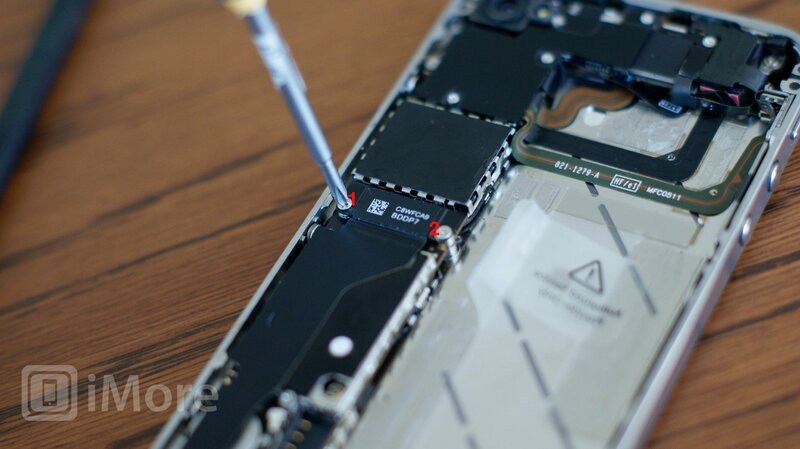 Remove the two screws holding the dock connector in place with your #00 screwdriver. There is one to the left and one to the right of the actual docking port. The one to the left may be covered with yellow tape. Just peel it back. 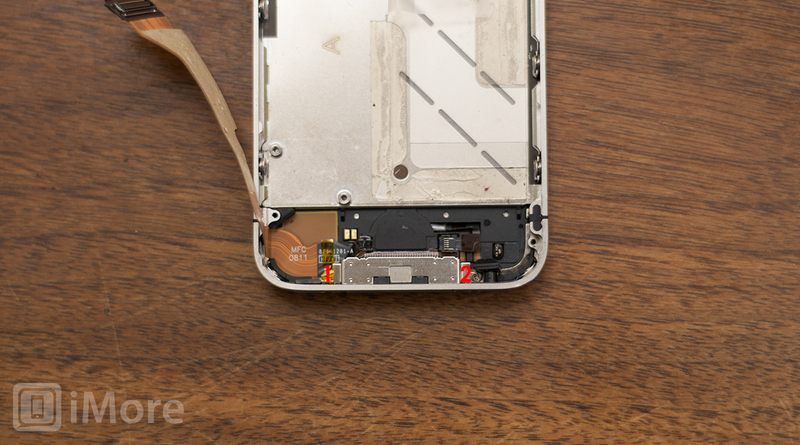 The left and right sides of the cable are held down with adhesive. Use your pry tool to pull up the cable and the left part of the assembly. 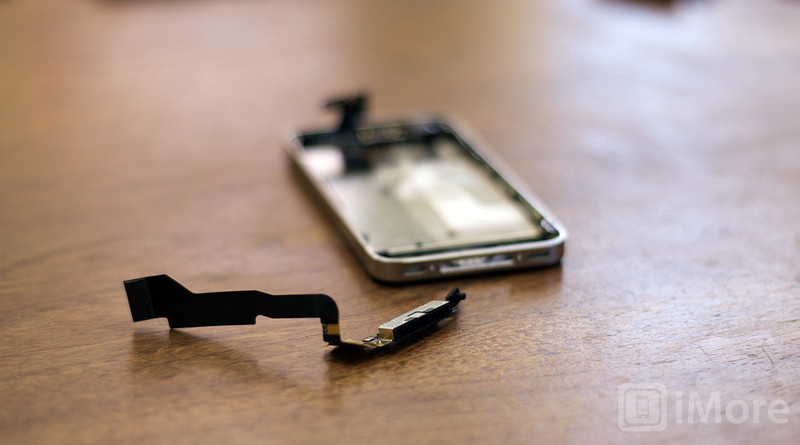 Take care not to pry on the home button cable. 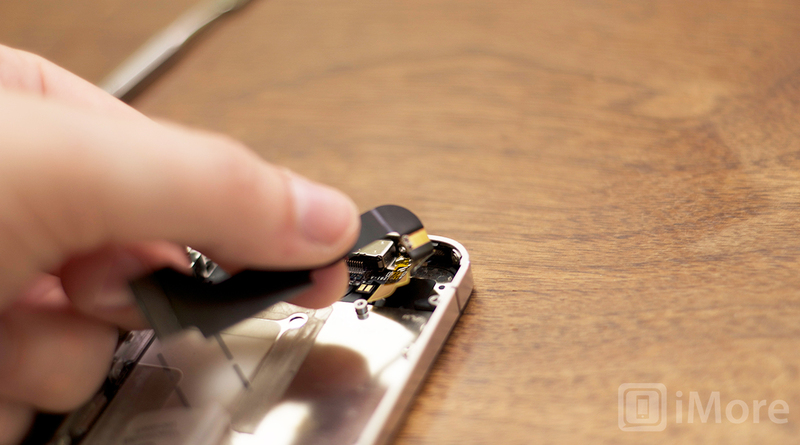 Use your pry tool to hold it out of the way when removing the dock connector assembly from your iPhone 4. 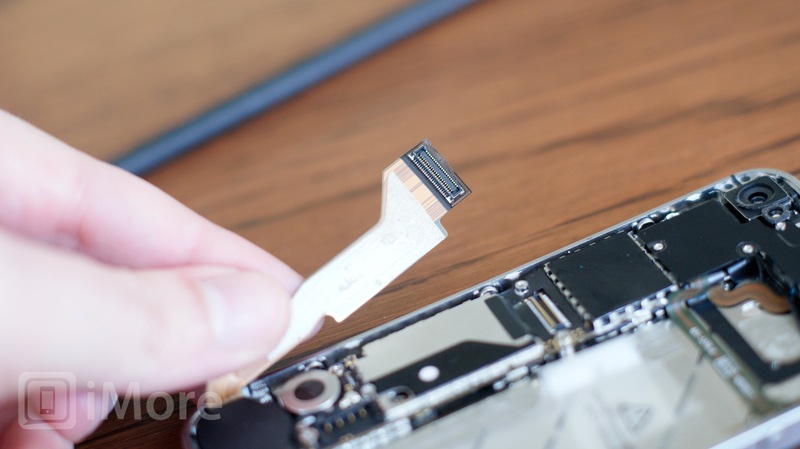 Next move over to the actual dock connector cable which is also held in with just adhesive. Gently pry it up. The rubber gasket to the left just plugs right into the frame, so to speak, so just pull it out gently to separate it from the frame. 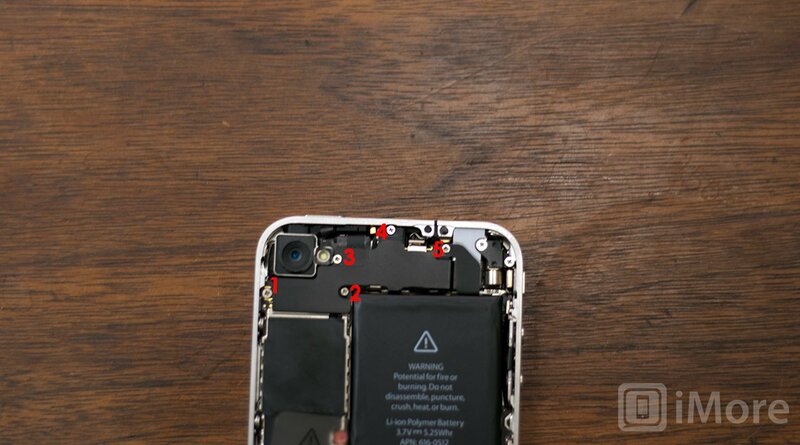 You should now be able to remove the dock connector assembly from your iPhone. Now pull the rubber gasket from two steps ago off the old dock connector assembly as you'll need to place it on the new one. Place the rubber gasket you removed from the old assembly onto the new one and now we're ready to install the new one. Peel the adhesive off the back of the new dock connector. Compare where the adhesive is on the old and new assemblies. 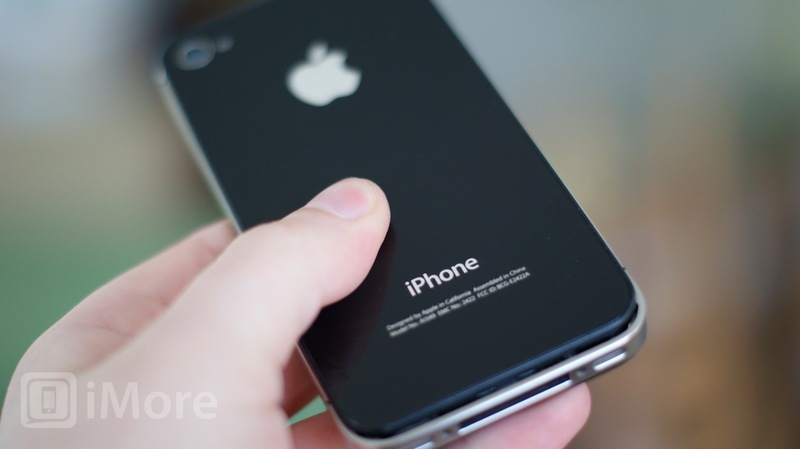 Your iPhone 4 has grooves in the frame showing you where to line up the left and right. First line up the actual dock port and sit it flush. 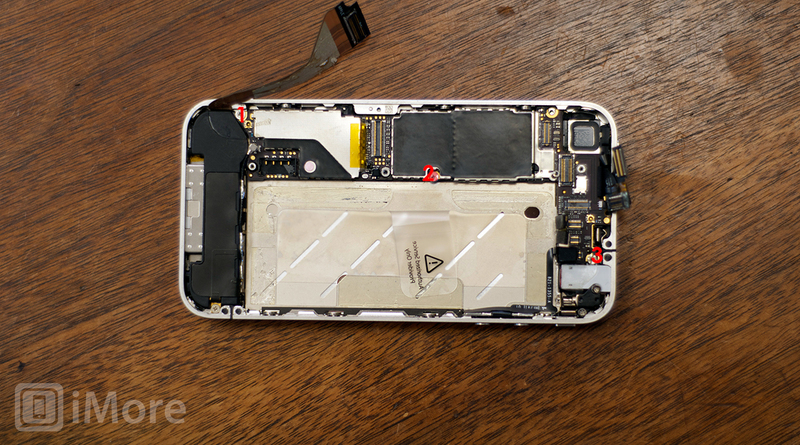 Replace the 2 screws on either side to hold it in firmly. 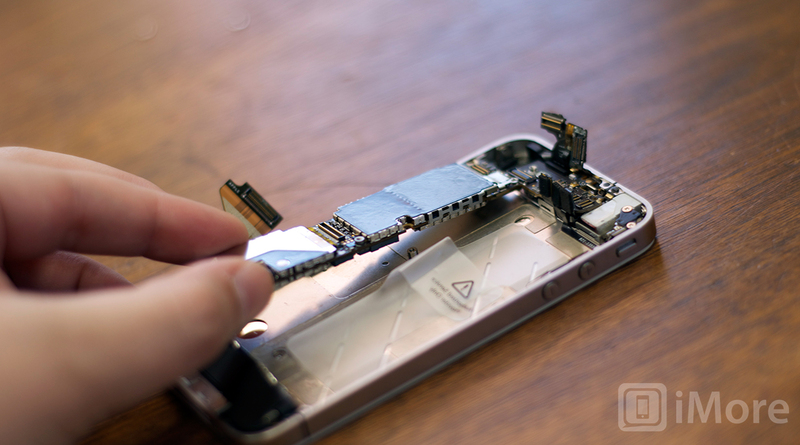 Before going any further, go ahead and stick a dock connector cable into the port like you would to charge your iPhone. If it slides in nicely and feels like it should, continue reassembly. 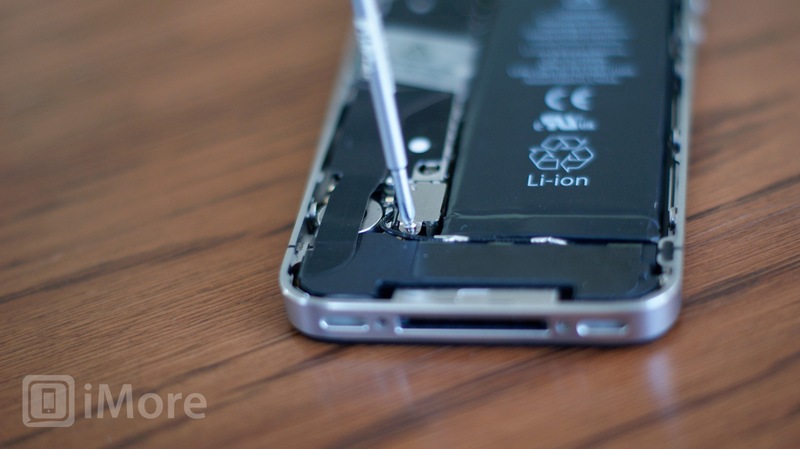 If it doesn't, remove the 2 screws and re-align it. It can be a bit tricky to line it up perfectly, but you'll get there. Plug the rubber gasket back into the mid-frame. Now line up the rest of the dock connector cable assembly. Make folds in the cable where necessary. It's helpful to compare how your old cable is folded and mimic those folds on the new one. 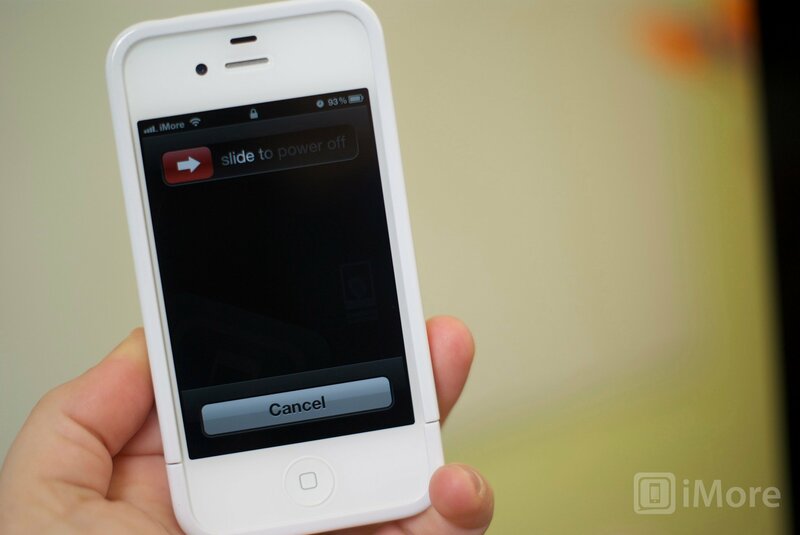 Be careful not to dislodge or tear the home button cable while re-positioning the dock connector. 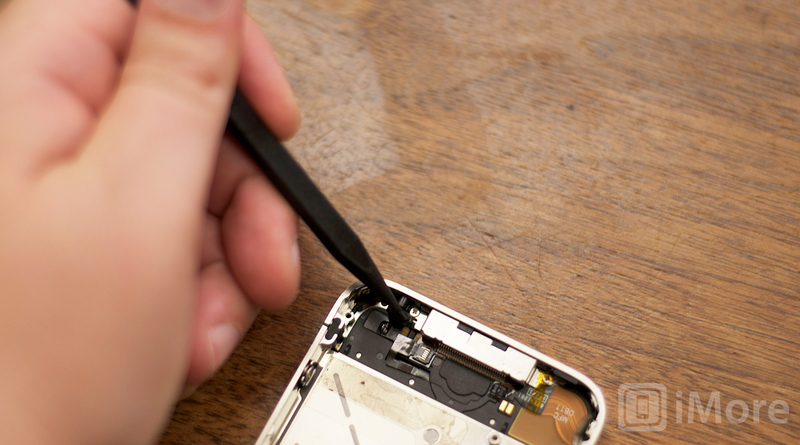 Use your pry tool and finger to carefully slide your home button cable back in place. Once the cable is positioned where it should be you can go ahead and use your pry tool to push down the clip that fastens it in place. 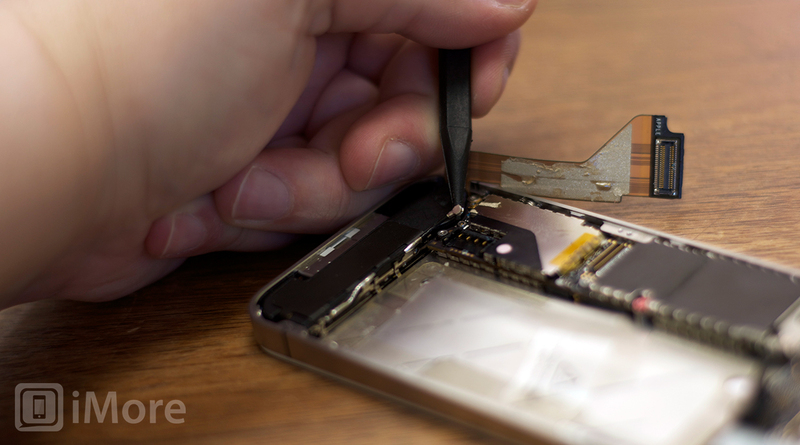 Once you've gotten your dock connector in nice and flush, you're ready for reassembly. You can either follow these steps in reverse order or watch our reassembly video above starting at about 3:20. 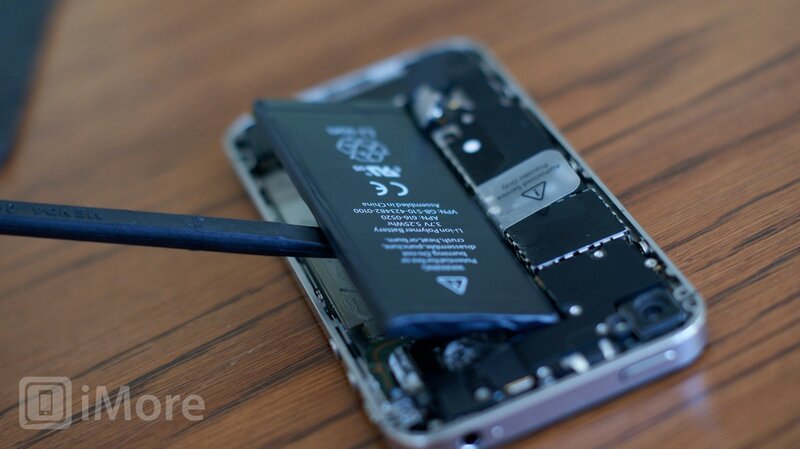 Upon powering back up your iPhone, check to make sure it'll hold a charge. If the dock connector was installed correctly you should be back to being able to charge normally.